Whether you are already working as a journalist or are contemplating journalism as a career or university option, our voluntary Journalism placement in Bolivia offers you the chance to gain some fantastic work experience whilst living in one of the most vibrant countries in Latin America. No formal journalism experience is needed and the magazine is written in English, so advanced Spanish is not required. Volunteers on our Print Journalism placement not only get an insider's view of how a publication is run, they also get the chance to put together a portfolio of work. The Journalism project provides volunteers with a unique insight into current affairs in the region and the chance to interact with many local people in Cochabamba. You will also gain an insight into the workings of the media in a new cultural and political setting and ultimately gain invaluable work experience and skills that will increase your prospects in a highly competitive job market. Volunteers participating on a print journalism project in Bolivia work on the 'Cocha-Banner', a monthly English-language magazine established by Projects Abroad. The initiative in Bolivia was started by a teaching volunteer in 2005 and has grown successfully over the years, due to the enthusiasm of the Journalism volunteers and the Bolivian staff team. 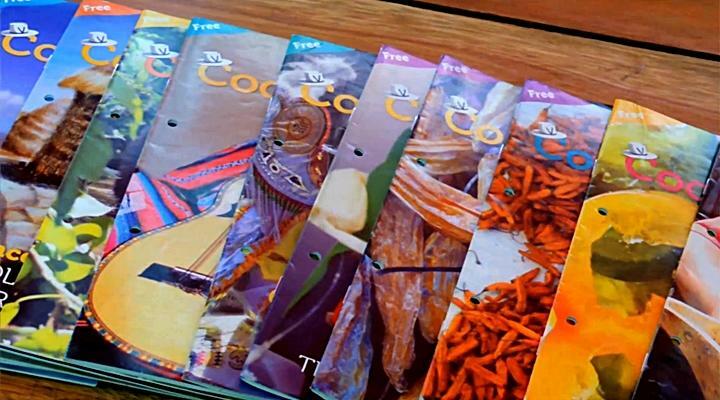 The Cocha-Banner is distributed for free within the city of Cochabamba, and covers a variety of topics, from news and current affairs to features and reviews. The magazine gives the people of Cochabamba the chance to learn about local topics and give their opinions, whilst at the same time practising their English. This publication has proved to be a vital educational tool for local students and provides them with the opportunity to practise their English for free on a monthly basis. Learning English has become more and more important to the younger generation as they know that it increases their job prospects. The magazine also gives organisations and other local groups a ‘voice’ and the chance to 'spread the word' about the work they do. 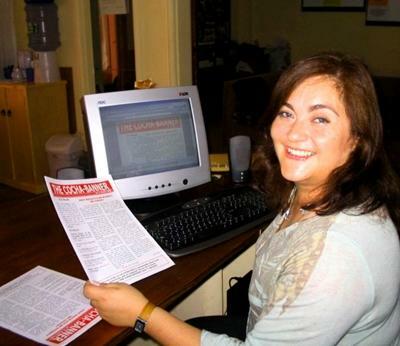 Volunteers from all over the world are involved in writing articles for the Cocha-Banner and the local people are keen to get their stories published. The magazine therefore includes stories and articles from many different cultural and geographical perspectives. Each edition also includes at least one article relating to some form of charitable work, from events at local care centres to interviews with distinguished public figures involved in a new charity. If you want to get involved in online media as well then The Cocha-Banner is also now available online at www.cocha-banner.org. Working alongside a local journalist, you will be given a range of responsibilities; everything from researching stories, interviewing, writing articles, proofreading, editing, translating articles from Spanish to English, taking photographs, and distributing the finalised magazines to specific destinations. You can also design layouts and get involved in various aspects of producing the publication. The magazine is also contributed to by Linguistics students from San Simon University in Cochabamba, so you could get involved with editing, proofreading or even translating articles written by them, if your Spanish is up to it! The Bolivian students may also translate articles into Spanish from ones volunteers have written in English to also appear in the magazine. 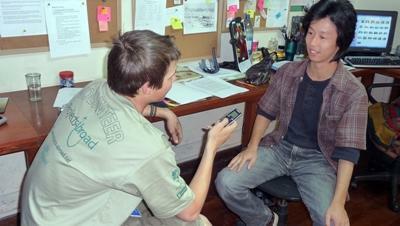 Working alongside Bolivian students of a similar age is also an aspect that many volunteers enjoy. There are always lots of things going on in and around Cochabamba, so you will never be short of stories. Whether you are reporting on a strike, interviewing a local politician or attending a function, your knowledge of Bolivia and its people will grow along with your confidence and journalistic skills. You can join a Journalism project in Bolivia for two or three weeks if you don't have time to join us for four weeks or more. This project has been selected by our local colleagues as being suitable for short term volunteering for both the host community and the volunteer. Although you will gain a valuable cultural insight and work intensely within the local community please be aware that you may not be able to make the same impact as someone volunteering for a longer period. The Cocha-Banner is a monthly publication so by joining the project for two weeks you may not be at the placement when the edition is printed.